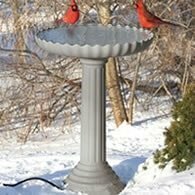 American Robins, the red-breasted birds, marks the return of Spring to most folks in the northern states. 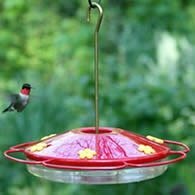 One of the easiest birds to watch while they go about their nesting and feeding habits since they’re in most peoples backyards. During milder winters, it’s more common to see them in our backyards. The female builds the nest which is made of grasses, a middle layer of mud, then lined with fine grasses. The nest is usually placed in the crotch of a tree or shrub 5-20 feet above the ground. Robins eat different types of food depending not only on the time of year but even time of day. They eat earthworms early in the day and more fruit later in the day. This is a bird of woodland edges and opening. Preferring open ground on which it can forage for insects to eat and feed their young. Try placing fruit on tray feeders or planting fruiting shrubs to attract more of them to your backyard garden. Share Your Story!Robins find some funny and strange places to nest. 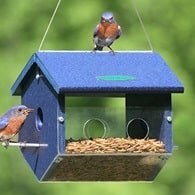 Do you have a story and picture about Robins nesting around your home? Why not Share it With Our Visitors. A good percentage of baby birds are lost due to people thinking they’ve rescued the little one. The young are often found on the ground without what seems to be, any parental oversight. Adults and children catch these newly fledged birds and take them inside, not knowing they’ve rescued a bird that didn’t need rescuing. If you’re worried they may be in harm’s way, help them to a nearby shrub for protection and so that the adults will find and continue feeding them. The adult birds can see you a block away. So don’t think because you don’t see any adult birds that there are none around. Adults are listening to their young and will find them if you keep them close to where you found them. Please share this information with others who may think they’re helping these young birds. Keep your cats indoors during the nesting season and that will help a lot also. Thanks for taking the time to read this. Exciting Robin – watching this year! A Lesson From A Baby Robin & It’s Mommy! 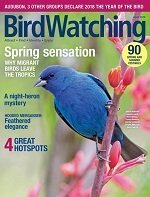 Bird-Watching Ezine – It’s Free- Signup Now! 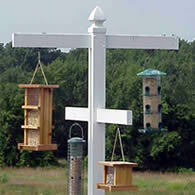 We use it only to send you Wild Bird Watching.